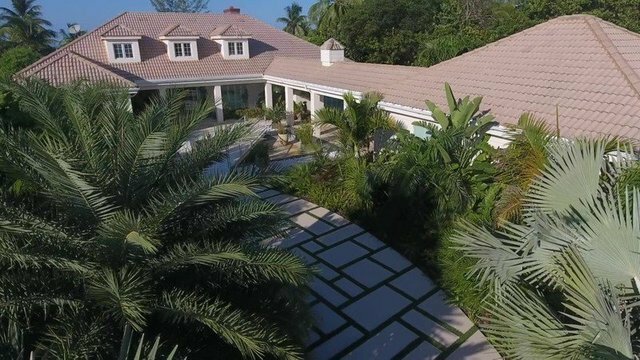 “Freedom”, a beautiful luxury Home in Spanish Wells. This beach home is the perfect vacation escape. The house features 3 bedrooms with ensuite bathrooms and a loft with breathtaking views of the ocean. The open floor plan if ideal for entertaining and the kitchen is well designed for any cooking enthusiast. An unattached two car garage can be reached from the house under a covered walkway. The well maintained grounds include a water feature at the front entrance of the home. The spacious back garden allows you a pleasant walk to the beautiful North Beach of Spanish Wells. The home comes fully furnished, ready for you to enjoy paradise. Spanish Wells, Eleuthera is easily accessible to The USA and Nassau via the North Eleuthera Airport, White Crown Aviation for charters and private planes and Bahamas Fast Ferries. This quaint fishing village offers all the charm of island living with all the modern amenities.